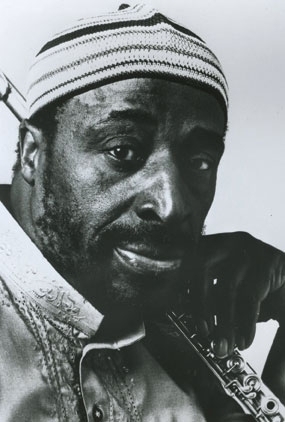 The passing of Dr. Yusef Lateef has left the world with one less musical legend, teacher, mentor and friend. His legacy of music spans over 60 years. You may go to his website to read further about his professional life and career, as I would like to share my personal memories of one of the greatest human beings I’ve ever known. I met Dr. Lateef for the first time in late summer of 2010. I asked him if I could interview him for my radio show and he agreed. We did the first interview the following week, but due to telephone connection issues, I decided not to air it. At the time he was composing an opera,which I found to be both amazing beyond belief and exhilarating. In the days following the interview, we began to talk regularly about music, his long and successful career, life, and my jazz radio show. He gave me excellent advice and wisdom from beyond and was quite interested in the interviews I was conducting of jazz artists and commended me for it. Dr. Lateef was all about achieving your goals and reaching for all that life has to offer. He insisted that I was never to give up and know that there is only one me in the universe and that’s what made me special. I remember one day he called and said, “Get a pen, I have something I want you to write down.” Little did I suspect that he wanted me to write down over thirty telephone numbers of great jazz artists he thought would be great interviews for my show; and I might add these were telephone numbers of artists who were “hard to reach” even if you contacted their agents, but these were his friends. I cannot recall a day that we did not talk on the telephone, conversations filled with laughter and joy. I looked forward to going to my mailbox daily to find out what treat he’d sent me this time. Yes, Dr. Lateef was a regular at the post office. The educator in him drove him to share all of the information he could about music. As a result, I have received countless books, magazines and articles from him about MUSIC. One day he even sent me two of his original paintings and his bamboo flute, which he handmade and even created the finger chart for it. The instrument sits on my mantle to this day and I will treasure all of the gifts forever! Dr. Lateef was a father and a family man. 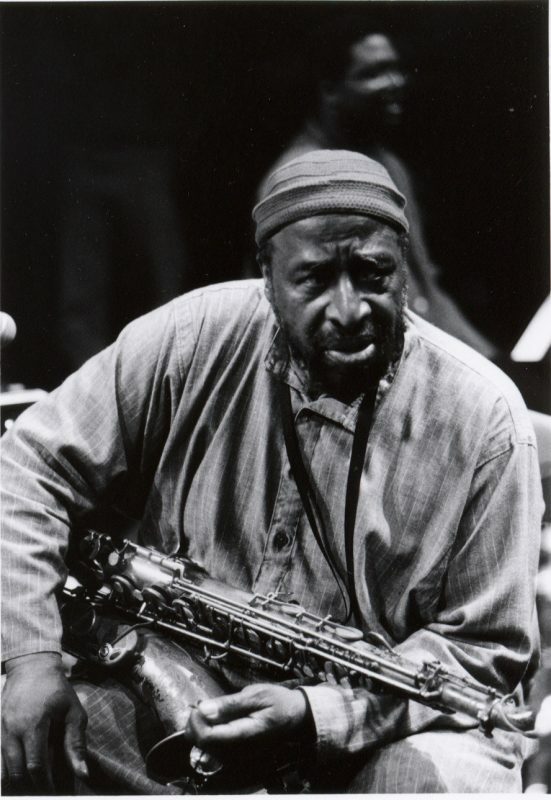 His son Yusef Lateef Jr., lived with him and cared for him at that time, his wife predeceased him a few years before. Even though he was in his nineties, he was quite active, traveling abroad to play festivals and concerts in South Africa, Paris, France and South America. Sometimes he would drive into town which was quite a distance from where he lived in the mountains of Massachusetts and even carry in wood out of the freezing cold for his wood-burning stove. I remember having a few stern words with him about doing such a thing and about his safety. In turn, he would remind me of the same, if I went out to the store or somewhere after dark and he even called at 2 a.m. one morning to make sure I had gotten home safely after traveling on the road. Looking back, these were very funny conversations to listen to. He loved my daughters as if they were his own and sent my oldest, who is a blossoming musician, many books on composition and classical music. Though he performed at many jazz festivals and events, there was one thing I learned never to call him and that was, “jazz musician”. Dr. Lateef said that his music was World Music and that it was meant to reach all people and all cultures. He did not want to be “classified” in his efforts to bring his creativity to this earth. He wanted people to listen and interpret what he was conveying in his music for themselves, though he was very aware of how one would place him in the jazz genre based on some of his previous jazz recordings. The saying “A Mind Is A Terrible Thing To Waste” was his motto. Dr. Lateef was a staunch advocate for education, possessing a Doctorate Degree in Education from the University of Massachusetts, a Master’s Degree in Music from the Manhattan School of Music and a Bachelor’s Degree in Music from the Manhattan School of Music. He taught and lectured at countless universities and colleges and even did a Senior Research Fellowship at the Center for Nigerian Studies at Ahmado Bello University in Zaria, Nigeria. He was also a beloved Professor of Music at the University of Massachusetts and Hampshire College in western Massachusetts. Writing was a great love for Dr. Lateef, which resulted in a number of music books on improvisation of Soul Music, the flute, piano, violin, orchestra, band arrangements and a whole gamut of treasures to be absorbed and enjoyed. I thank him for the many works he shared with me, including some of his fictitious work such as “Night in the Garden of Love”, which I found fascinating! Dr. Lateef was a devout member of the Ahmadiyya Muslim Community and would share with me the philosophies of his religion and even sent me a copy of the Holy Qur’an. Some nights we would sit on the phone and he would read to me from the Qur’an and I in turn would share with him some scriptures from the Bible and we would talk about the similarities and differences. I can say that Dr. Lateef tried his best to get me to convert, but we settled on our own beliefs without prejudice. I can go on and on about my friend and mentor. I have been blessed to have known him so intimately. I just wanted to share a little of what I have experienced with this great Master of life and music. One of the things I will miss most about him is his laugh, which was so full and hearty. I will miss him terribly as will the world, but I am confident I will one day see him again. I have included the interview I did with him in February of 2011. 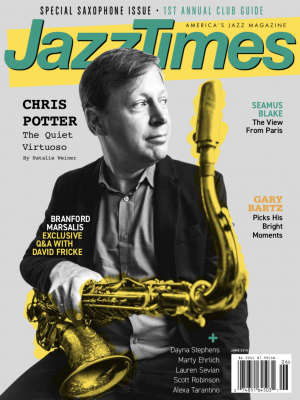 I hope this interview will give you a glimpse of how great a man he was and his influence on jazz and music of all kinds.